Chase is 15 has been blessed w/ height & strength at 6’4”. Many times he has been called man-child or there is no way he is a Pre Sub or Sub Jr. He started shooting American trap in 2014 at 9 years old. He watched his older brother & his teammates (who are state & national level shooters) shoot for a full season anxiously waiting for his time to shoot. In that year he watched & soaked up as much information about trap shooting as he could. Chase shot & won many events as a pre-sub (12 & under) competing at the Sub Jr (12-15) level when he first started shooting. The AIM events are the only event where he competes against athletes of his own age but not size. His goal is to be named to the ATA All American Sub Jr team in upcoming 2018-2019 season. Hopefully w/ his new Kolar Max TA along with his drive, strength, knowledge, will & hard work he will reach his goal. Chase has been named to the LRMS high honor roll the last 2 years. He also competed on the football, wrestling & trap team. He is able to keep up w/ his school work, practices, farm work & chores while maintaining his grades. Chase has accomplished a lot in the 6 years that he has been competing. Competition has increased since he started shooting. In the beginning shooting in the ’90s would earn him awards and acknowledgments. These day’s 99 & 100 straights are the goal from Pre Sub – Senior Vet. 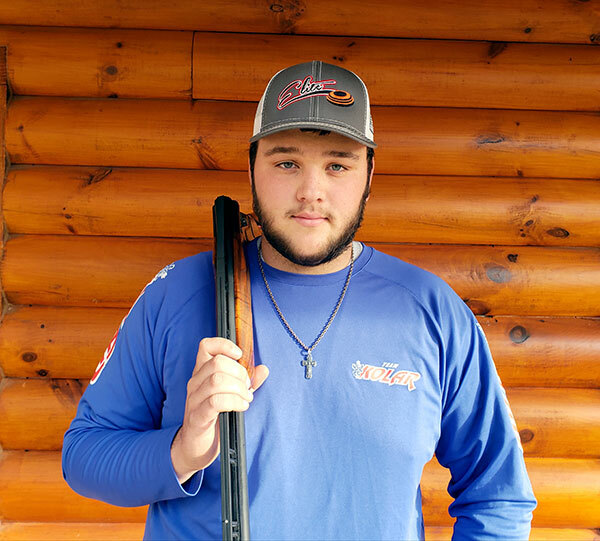 Chases Browning XT has got him far, but he has worked hard to earn his Kolar Max TA & we hope that his new gun will help take him to the next level. Paw Backpack Program, Local food pantry that sends food home for the weekend for needy children. Fish-4-Tales Annual Fishing Tournament, Takes disabled kids fishing. Check it out on facebook it is very inspiring.